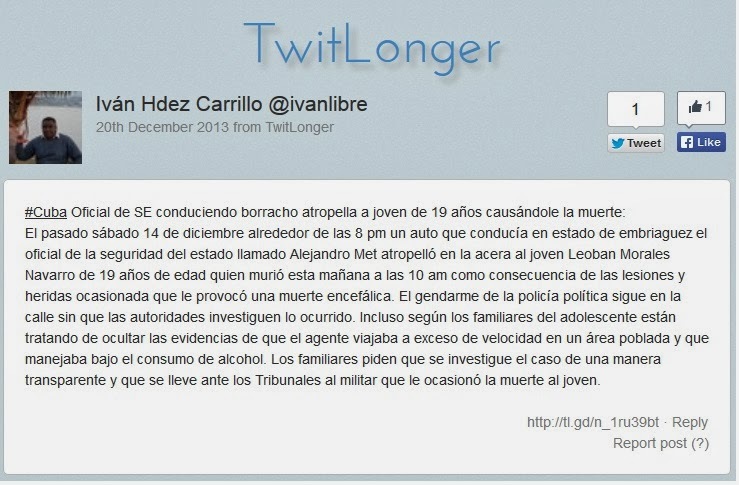 On December 19, 2013 at 11:12pm Iván Hernández Carrillo tweeted the following disturbing news that a teenager was walking on a sidewalk in Cuba early on Saturday night when he was run down by a drunken state security agent who was speeding in his car and the youth died six days later. The agent goes by the name Alejandro Met and continues operating with impunity and the victim's family say that there is a cover up underway. On Saturday December 14 around 8 pm a car driven by a state security officer in a state of intoxication called Alejandro Met ran over Leoban Morales Navarro, a young 19-year-old on the sidewalk who died this morning at 10:00 am as a result of injuries and wounds that caused brain death. 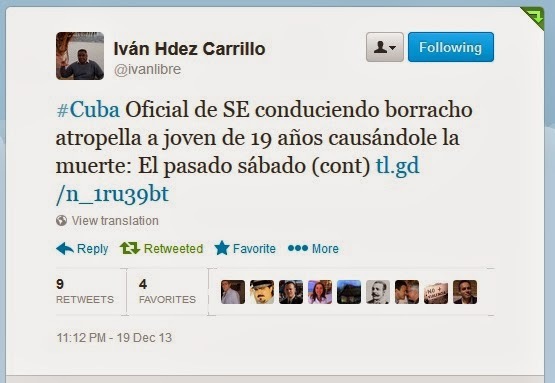 The official of the political police continues in the street without the authorities investigating what happened. Including, according to the family of the teenager, trying to hide the evidence that the officer was traveling at excessive speed in a populated area and driving under the influence of alcohol. Family members ask for a transparent investigation and to bring before the courts the military official that occasioned the death of the young man. This is not the first time that something like this has happened. On July 15, 2011, Amado Interian, a retired Lieutenant Colonel in MININT (The Ministry of the Interior) shot and killed 14 year old Angel Izquierdo for stealing a fruit. 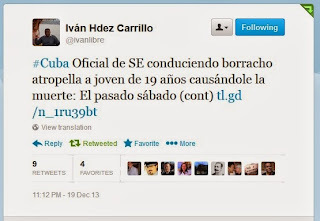 Cuba is a dictatorship and its agents can and do operate with complete impunity. Even a visiting foreign national was gunned down, his wallet taken and the official responsible never identified or brought to justice. This was the fate of a young Dane, Joachim Løvschall, in March of 1997. If not for the courage and persistence of the family we would have never known of these incidents. How many others are there that we've never heard of because family members were intimidated into keeping silent? 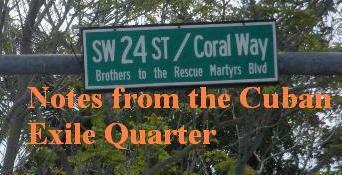 Will you spread the word of this latest atrocity and back the family's demand for a transparent investigation?